It was our home away from home. We enjoyed the apartment It had extra beds a fantastic kitchen and living and dining and 2 baths. Thank you for having us! Spacious. Very comfortable beds. Larger than expected. Free parking! The host was very pleasant to deal with. He went the extra mile to make sure everything was nice. Even stayed in contact through my trip to make sure it was on point and gave suggestions of the best activities in the area! 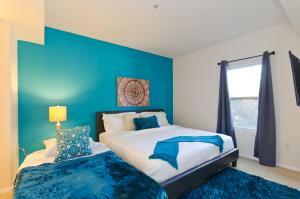 Luxurious clean place, comfy beds, quiet and safe place near target. This apartment was great for a group. The bathrooms were spacious and the beds were comfortable. There was plenty of space for everyone to sleep and hang out during our stay. Fabulous location in a good area of downtown la. We used the metro to get around which was excellent. Apartment was spacious and comfortable. It was perfect for our family of 4. Spacious and comfy apartment, convenient location, friendly host! 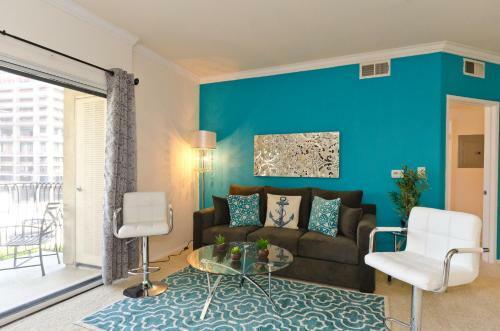 The location of the apartment is great - across the freeway from downtown LA and close to lots of shopping. Travelled as a family of 8, Had a few hiccups at the start to check in at the apartment, but Jorge was apologetic and great, going beyond our expectations and giving us a hand when needed and making sure we were well accommodated especially with extras. 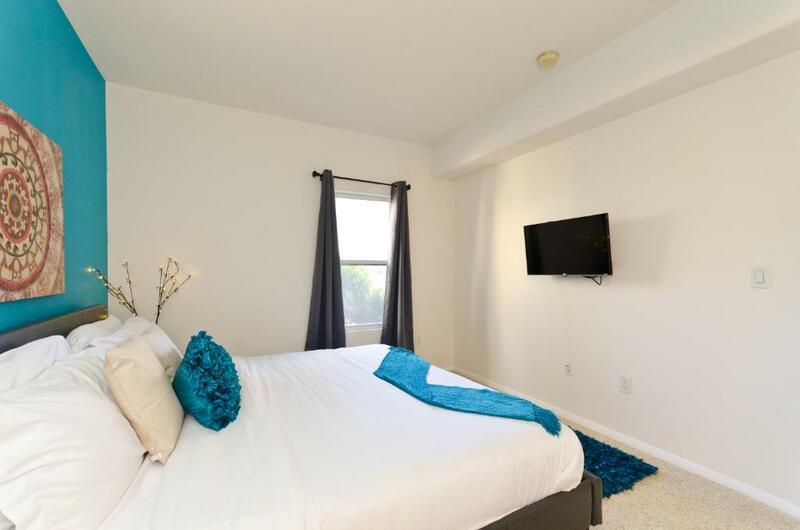 The apartment is well kept, modern and clean, beds are comfortable with great views and amenities for cooking and large fridge, great size apartment, great location, with parking, and perfect for anyone , especially for families! Can’t thank Jorge enough for his professionalism and generosity and being so accommodating, we have had the pleasure staying at the location twice on our trip. It’s perfect! Highly recommend this place! Close to everything in town and entry and exit to freeway. 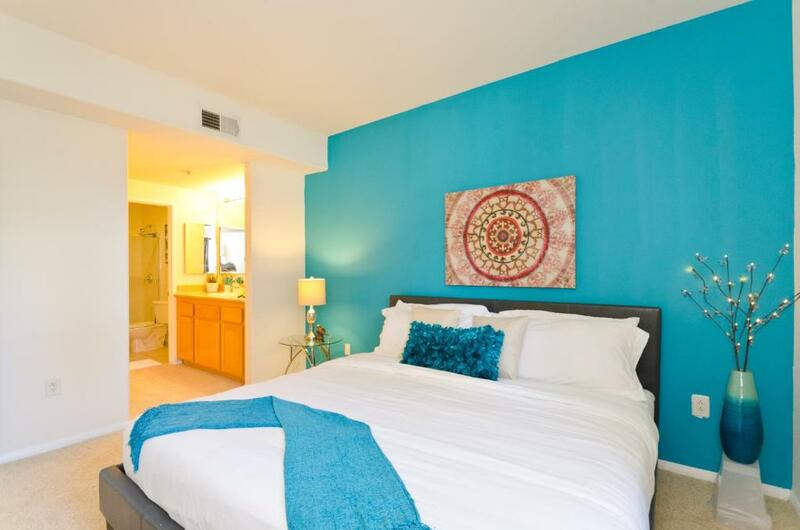 Lock in a great price for Popular Downtown LA Mediterranean View Penthouse – rated 8.2 by recent guests! 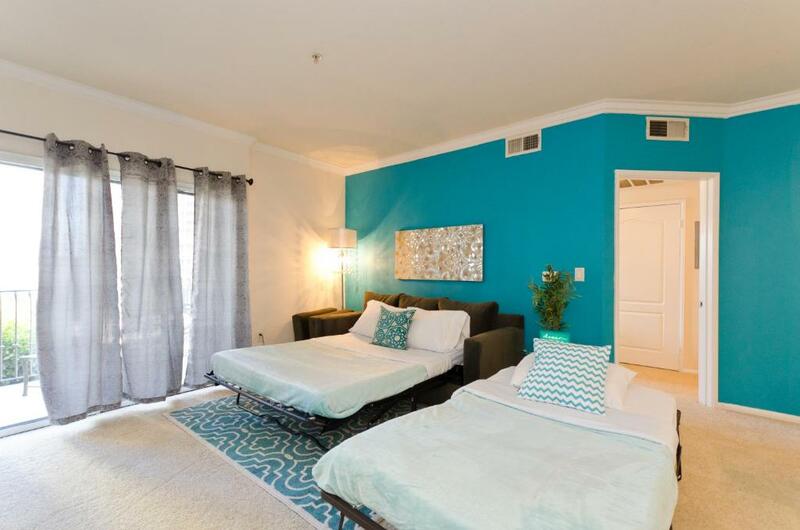 Located in a central area of Los Angeles, Popular Downtown LA Mediterranean View Penthouse features air-conditioned accommodation with free WiFi and a flat-screen TV. 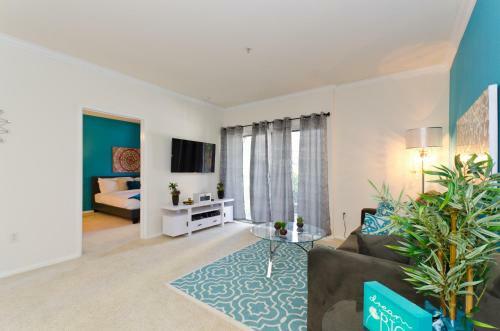 The property is 1,950 feet from L.A. Live and 2,650 feet from Microsoft Theater. With direct access to a balcony, this apartment comes with 2 separate bedrooms and a fully equipped kitchen. The apartment offers an outdoor pool. Cycling can be enjoyed nearby. Staples Center is 2,650 feet from Popular Downtown LA Mediterranean, while Dodger Stadium is 2.1 miles from the property. The nearest airport is Los Angeles International Airport, 10.6 miles from the accommodation. 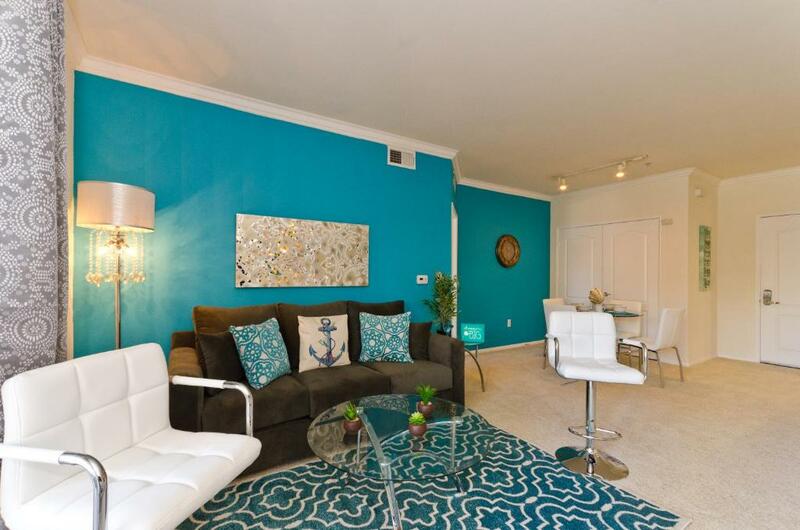 When would you like to stay at Popular Downtown LA Mediterranean View Penthouse? I will be there to guide you throughout the whole check in process, to ensure that you are both comfortable, and completely satisfied. We will answer any questions or concerns you have 24/7, and do everything in our power to ensure your happiness. Downtown LA offers many different ways to get around. However I would highly recommend renting a car, due to the fact that LA is so spread out. 110 Freeway at 8th Street is just a few blocks away. Metro is on 7th and Flower, just a few blocks away. City Buses, Taxis, and Uber are all available 24/7. 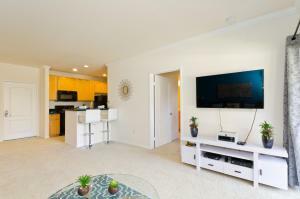 Just minutes from Grand Central Train Station and LAX International Airport. Public parking is available at a location nearby (reservation is needed) and costs USD 20 per hour. House Rules Popular Downtown LA Mediterranean View Penthouse takes special requests – add in the next step! Popular Downtown LA Mediterranean View Penthouse accepts these cards and reserves the right to temporarily hold an amount prior to arrival. Please inform Popular Downtown LA Mediterranean View Penthouse of your expected arrival time in advance. You can use the Special Requests box when booking, or contact the property directly using the contact details in your confirmation. Please note that check-in and key collection take place at: 722 S. Bixel Street, Los Angeles 90017. Sofa bed needs to be fixed. Hot water wasn’t always avaialable. Mostly warm . Difficult to arrange key collection as international travellers with limited access to cell phone connection. As a(n international) traveller, make sure arrangements for key collection are clearly set up prior to check in to save yourself unnecessary stress.